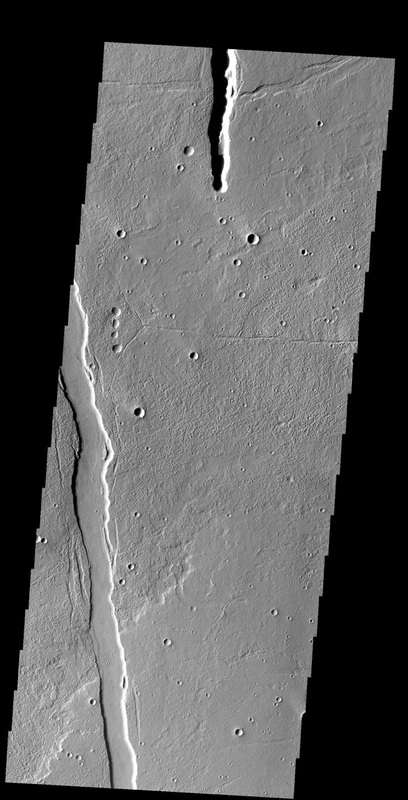 The linear depressions in this VIS image are called graben. Graben are bounded on both sides by faults, and the central material has shifted downward between the faults. Cyane Fossae are near Alba Mons.